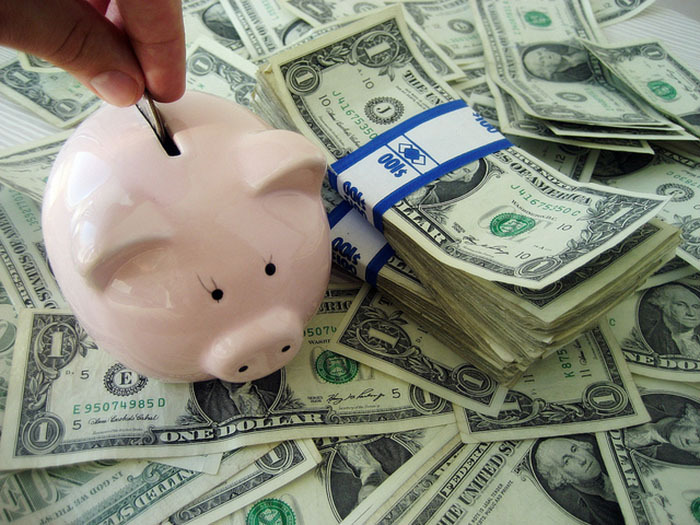 A saving account is an all-inclusive term that includes regular savings account and IRA Savings Account. A Roth IRA refers to a savings account where the earnings accrue on tax-deferred basis but they are tax-free in case distributions are qualified. In regular savings accounts, earnings are normally added to one’s taxable income for the year that they earned. Even though IRA Savings Accounts have a few similarities with regular savings accounts, there exist a few differences between these 2 accounts as outlined below. A savings account basically refers to an interest-bearing deposits account being held at a given bank or any other financial institution that’s providing modest interest rates. Financial institutions or banks might limit the total number of withdrawals that you can make each month from the savings account. Furthermore, they might also charge a fee unless you continue maintaining a certain average balance in the account on a monthly basis. In most instances, banks don’t provide checks with the savings accounts. Savings accounts usually allow the account holder to access his/her money when they need it without worrying about any penalties for early withdrawal. For instance, if you get involved in an accident with your car and you would like to get a new car, then you can use the savings account without experiencing any negative tax benefits. This is something that you might not be capable of doing with an IRA account. Furthermore, there’s no contribution limit on the savings accounts. An IRA (individual retirement account) refers to an investing tool that’s used by people to earn and also earmark funds for their retirement savings. As of 2016, there are 4 types of IRA savings accounts: Traditional IRAs, SIMPLE IRAs , SEP IRAs, and Roth IRAs. Sometimes known as individual retirement arrangement, best IRA savings accounts might consist of several financial products like bonds, stocks, or mutual funds. The main benefit of using an IRA savings account is their tax advantages. Whether you decide to use an IRA Roth or traditional IRA account, the money will grow tax-free in your account. Traditional IRA accounts offer the benefits of tax-deductible contributions. On the other hand, Roth IRA accounts don’t offer a deduction for the contributions. Whichever option that you choose, you will be getting a tax break which is not the same case with a regular savings account. However, there’s a high potential for the early withdrawal penalties when using IRAs compared to savings accounts. For traditional IRA savings accounts, any distributions before the age 59 are seen as non-qualified distributions, which are then subjected to the extra 10% tax penalty for the early withdrawals. Nevertheless, the disadvantage isn’t as bad for Roth IRA accounts because you can actually withdraw all your contributions anytime, penalty-free, and tax-free. Once you have withdrawn your contributions, your earnings are then taxed and penalized.